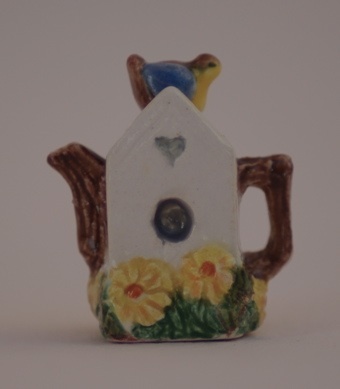 One of the new designs this year, has a cute bird sitting on top. 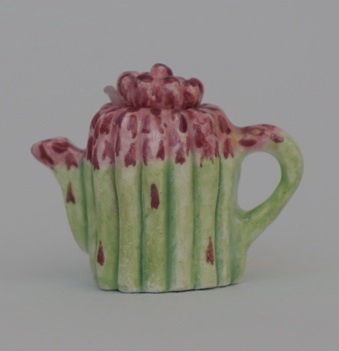 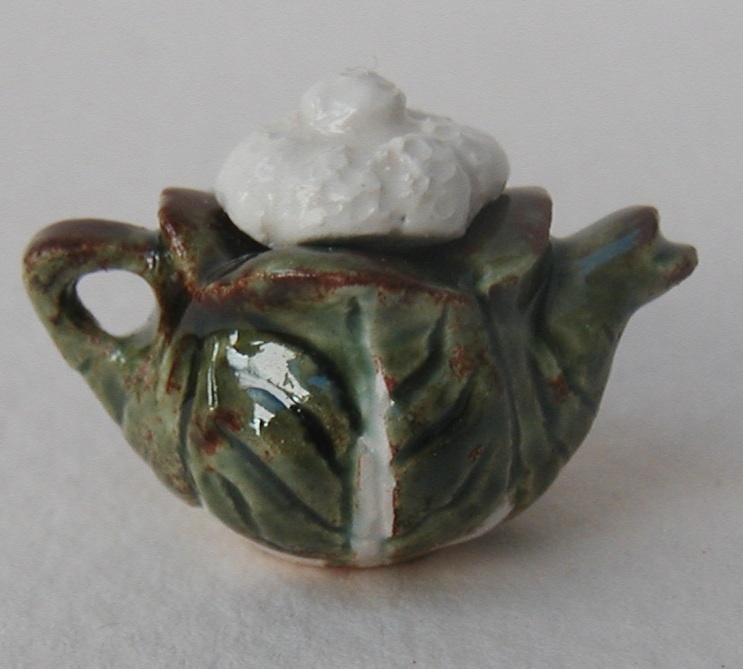 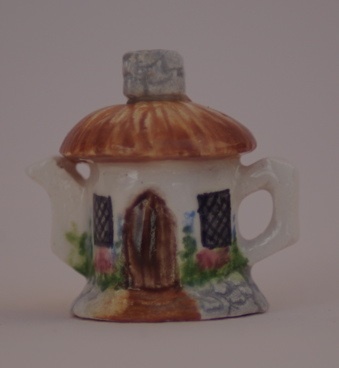 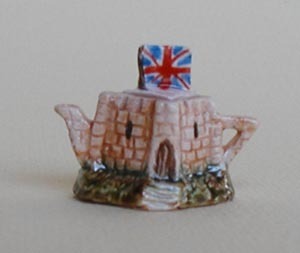 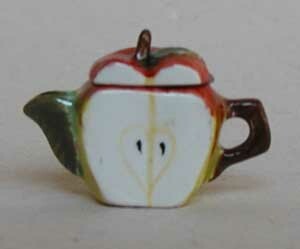 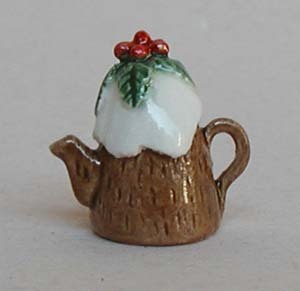 The latest in my line of cottage teapots. 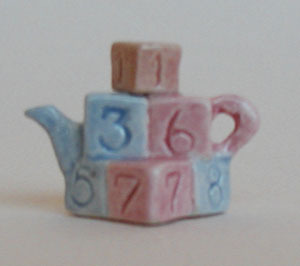 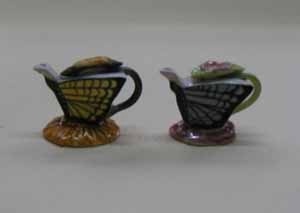 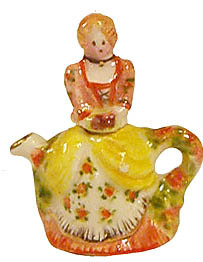 A teapot that I have in the full size version, so colors are true.